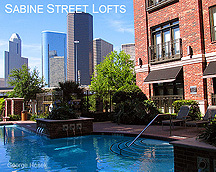 George Hosek Apartment Locator Service...Stunning visual and informative guide to the Houston Apartments, and Lofts. If you are actively seeking a Luxury Apartment, Loft or High Rise in the Houston area, and would like help locating a suitable home, please feel free to contact me 281-782-3270, I will be more than happy to help you in your search. 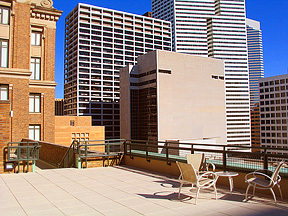 Located in Downtown Houston, have undergone extensive remolding and have been transformed into a modern "multi-use" community. Encompassing an entire city block, the property consists of 82-luxury apartments, known as the Humble Tower Apartments; a 191-room Courtyard by Marriott; and a 171-room Residence Inn by Marriott. Courtyard by Marriott, the Humble Tower built in 1936, which is now the 82-unit luxury apartment community, and the Travis wing presently the Residence Inn by Marriott, which was completed in 1940. 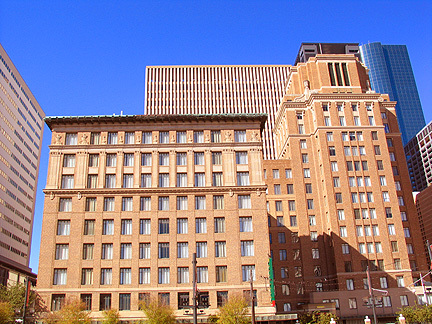 In 1932, the Humble Building became the first office building in the entire city of Houston outfitted with centralized air conditioning! The Humble Tower Building served as the corporate headquarters to Humble Oil, the predecessor to Exxon. Special care was required to modernize and restore the structure to its original grandeur in accordance with the standards set by the U.S. Secretary of the Interior. Parts of the building that were refurbished include existing rose marble, wainscot, plaster embellishments, brose elevator doors as well as other elements. 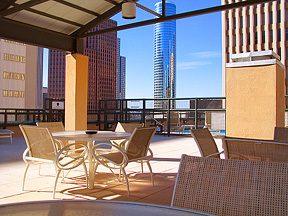 The Humble Tower Apartments are filled with all of the style and convenience that living in the downtown area has to offer. 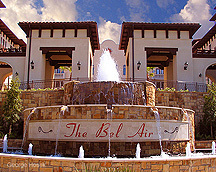 These apartment homes range from 519 square foot studios to the two grand 2000 plus square foot penthouses. 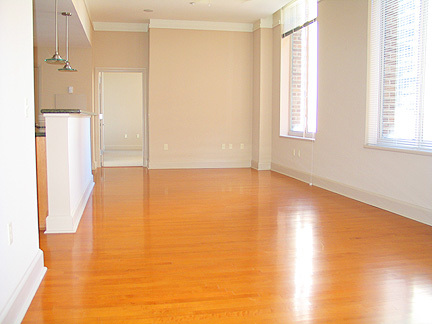 Features such as hardwood floors, granite countertops, crown molding and mini-blinds enhance the decor of each apartment home. Other amenities include a washer and dryer in every apartment, as well as Internet connectivity. Residents will enjoy a state-of-the-art exercise facility, clubroom, and a rooftop poll with sundeck displaying some of the most breathtaking views of Downtown Houston that you will ever see. 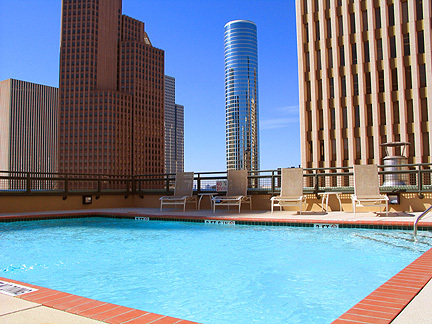 Come see for yourself why the Humble Tower Apartments are the newest and most exciting place to live in Downtown Houston. Living at the Humble Tower Apartments, all the best entertainment, sporting events and fine dining are at your fingertips. With the monorail, new basketball arena, and convention center now in full swing, residents will once again be able to call downtown their home in style and luxury. 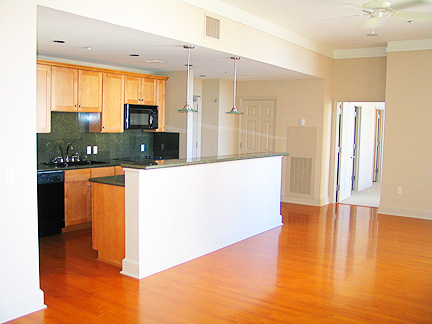 Welcome to your new home at the Humble Tower Apartments!